An unusual Faith and the Environment event this Saturday afternoon. With Ven Lama Yeshe, the Dean of Southwark, the Very Revd Andrew Nunn, Rabbi Janet Darley of South London Liberal Synagogue, Rockingham Young People and others. 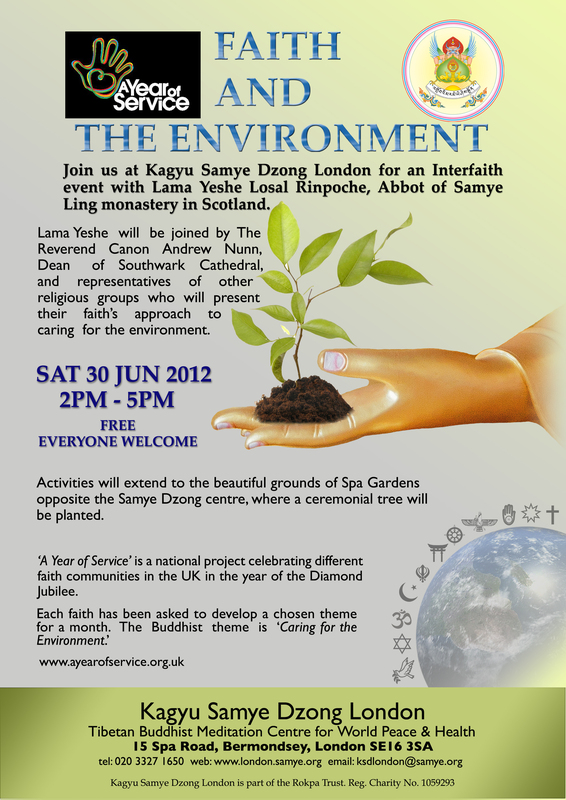 Tree planting, wild flower seeds, pledges and more . .
At the Kagyu Samye Dzong Tibetan Buddhist Centre, 15 Spa Road, Bermondsey, SE16 3SA. A local event which is open to everyone! This entry was posted in Environment, London, Olympic Truce and tagged A Year of Service by Catriona Robertson. Bookmark the permalink.